Today we did a whirl-wind tour of Iceland and its natural resources. We began the day with a focus on volcanoes. After learning more on the geology of Iceland (from the 'Lava' center) and how to pronounce 'Eyjafjallajökull' (from Bo), we headed out towards a volcano. This volcano was Hekla, the largest active volcano in Iceland. 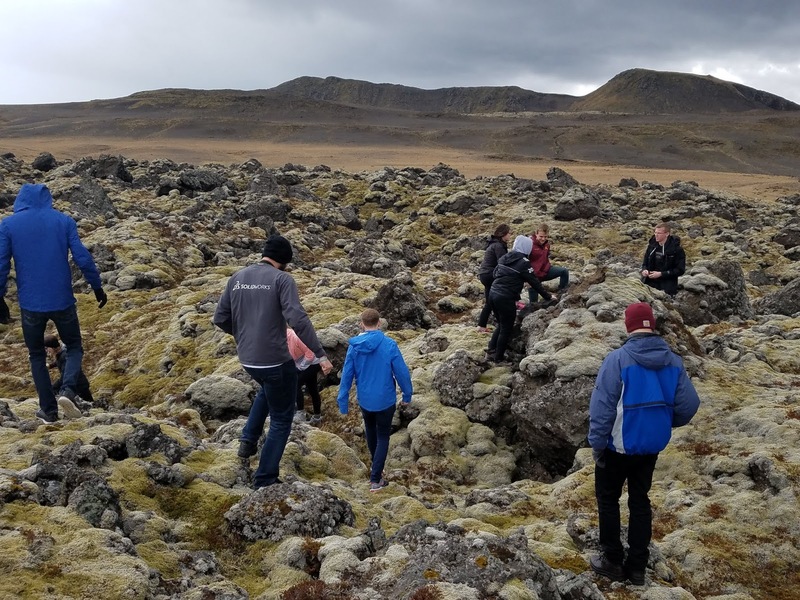 While our view of the peak of Hekla was obstructed by clouds, we did spend some time exploring the lava field produced by an eruption in the 1970s. The second half of the day was all about the power of water. This began with a visit to the Hjálparfoss waterfall where the discussion quickly turned to "How much electricity could this generate for us?" Through our plan to dam off the river, we estimated we could produce about five megawatts of electricity. When we later visited the much larger Gullfoss waterfall, the same question came into mind. 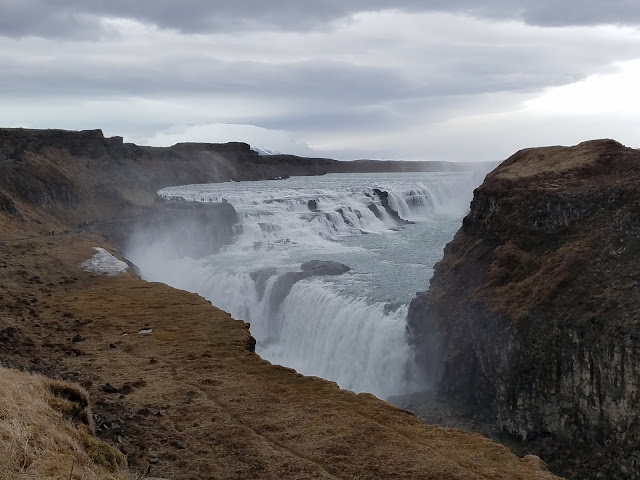 With both a waterfall height approximately four times greater and a flow rate about four times larger, the earlier estimate was scaled up to 80 megawatts of electricity. 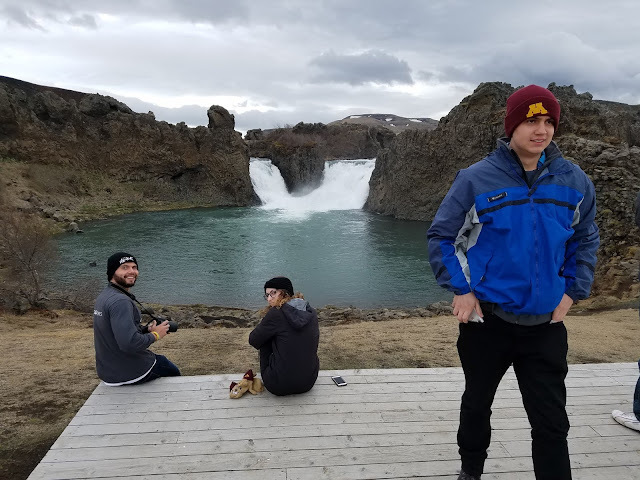 However, we figured the local population wouldn't be too happy if we replaced all of Iceland's waterfalls with dams!